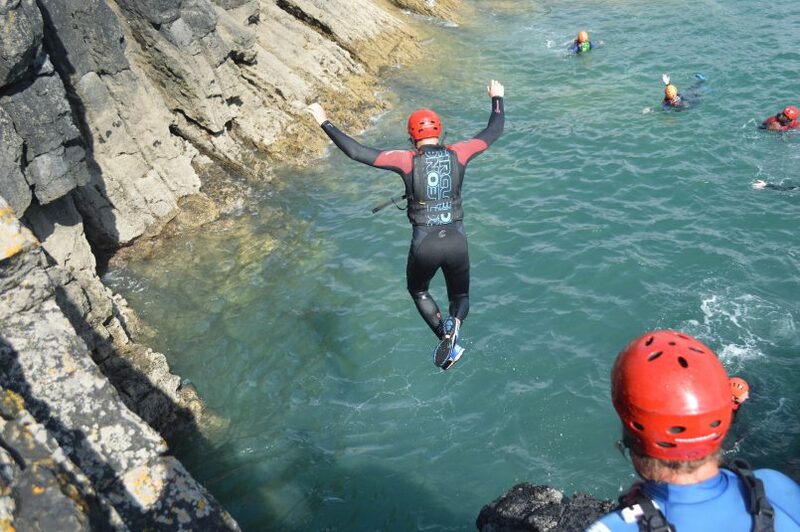 Coasteering is the ultimate ocean wilderness adventure sport. Coasteering is the ultimate ocean wilderness adventure sport. Exploring the rocky, towering sea cliffs of Wales, scrambling & rock climbing, adventure swimming, cliff jumping from 4ft to 45ft, exploring ocean caves, whirling in whirlpools and of course swimming with the local marine life. 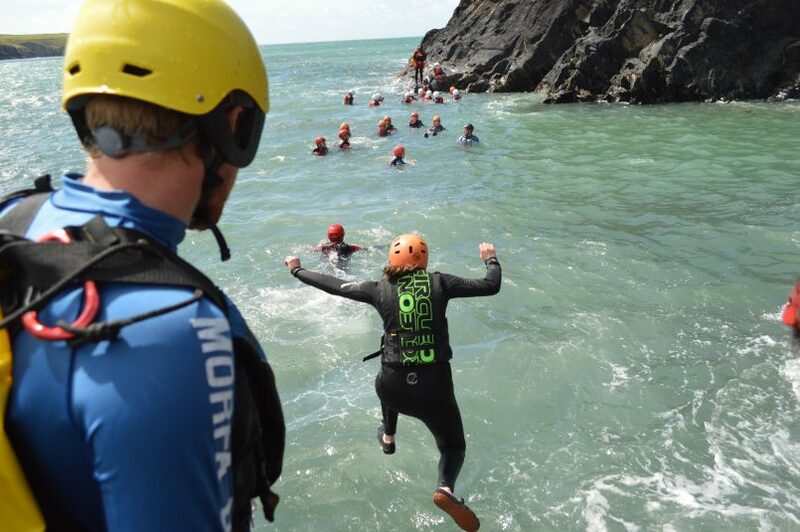 We are ideally placed in West Wales to offer this activity to you in a variety of locations, it’s the ultimate in outdoor adventure! 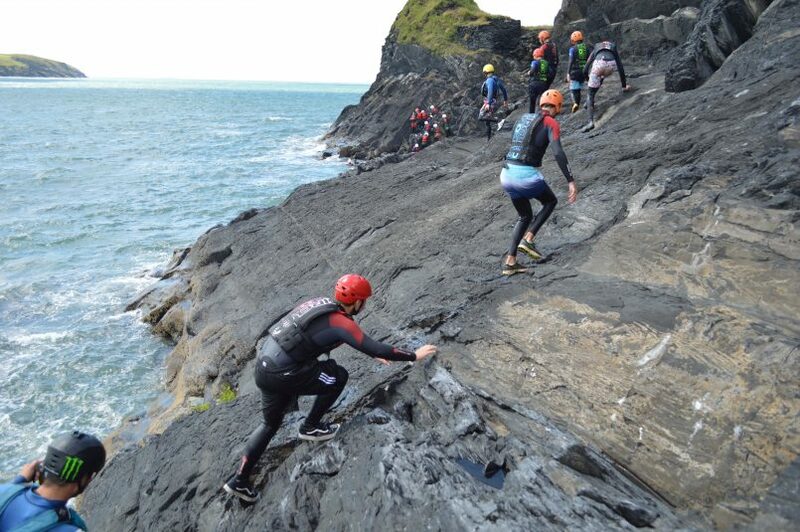 Coasteering in the Wales has become one of the fastest growing outdoor adventure sports, with Pembrokeshire becoming one of the leading Coasteering destinations in the UK. 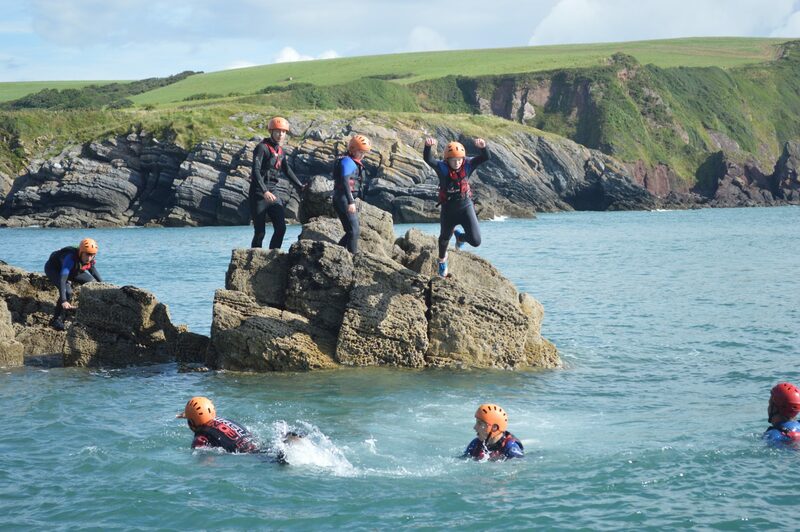 Coasteering is an outstanding activity of near the edge experiences – set among the stunning scenery of Pembrokeshires coastline. 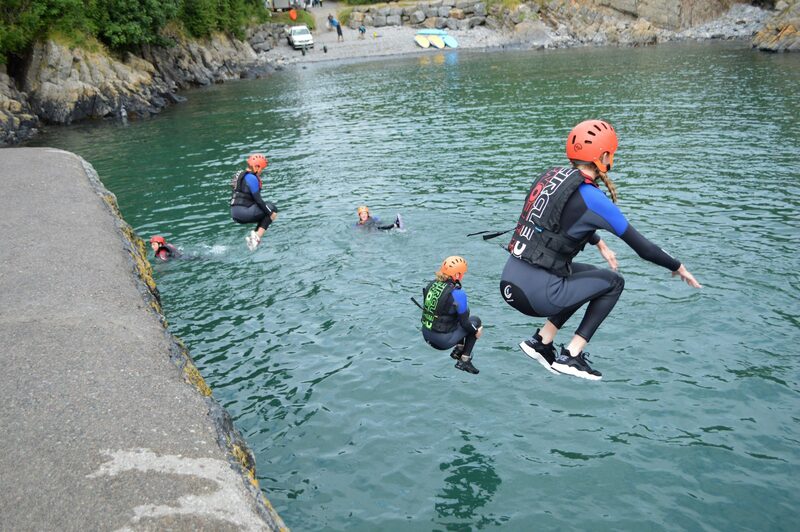 Explore caves, feel the power of the ocean, experience the ‘washing machine’ and test your nerve on some jumps – coasteering offers something for everyone. 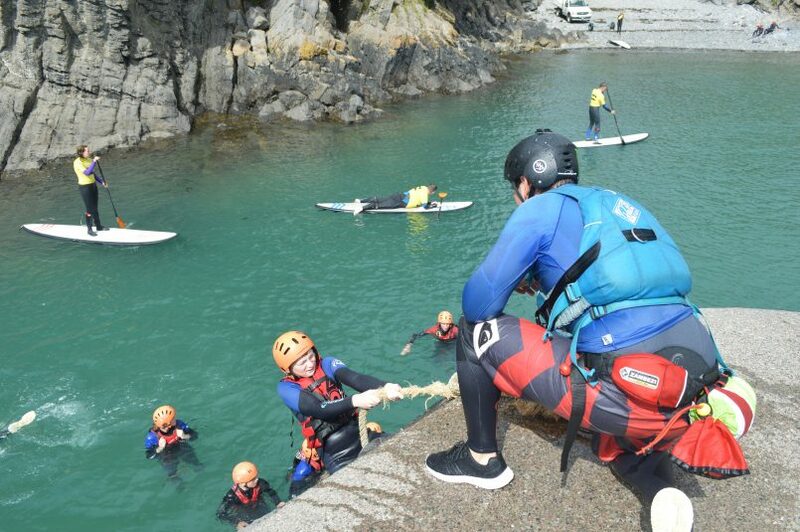 We offer coasteering sessions at various locations around the Pembrokeshire coastline – each location offering different challenges and requiring a different level of ability. With a large selection of activities to choose from, Coasteering has something for absolutely everyone. It doesn’t matter what challenge you’re after, we can provide it for you. Our highly trained staff will be with you at all times to provide tips, keep you safe and challenge your skills. 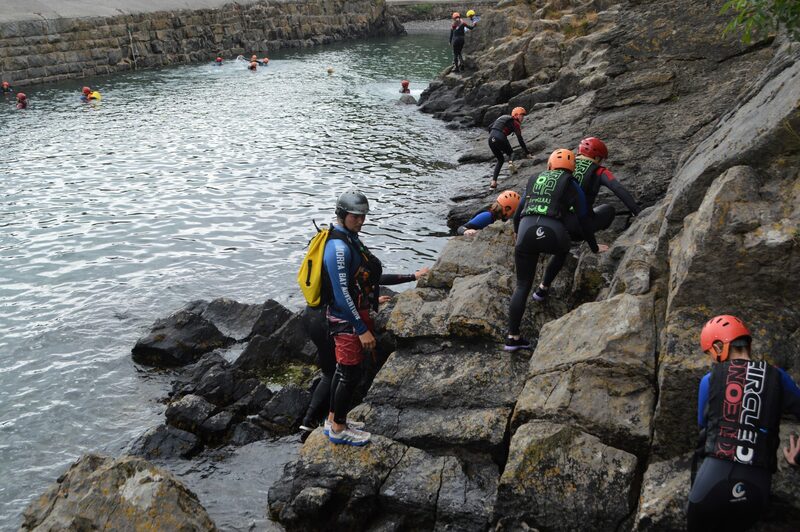 Whether you’re a novice or experienced at Coasteering, you’ll fit right in. 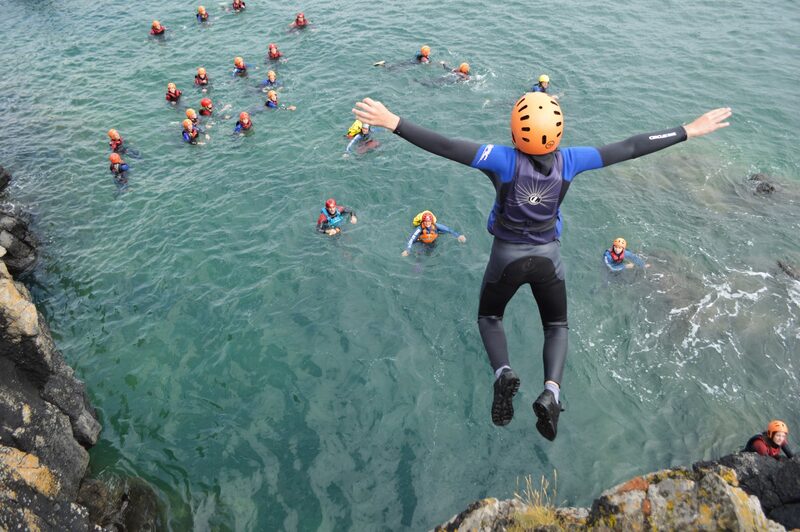 By the time the coasteering comes to an end you’ll have picked up a lot of new skills and made even more memories. It’s a thrill that few other activities can offer, and one not to be missed.